Certainly the old adage of "knowledge is power" rings true when it comes to tracing elusive ancestors, but it's just one part of a path to success. Sometimes uncovering that missing detail happens when we least expect it, perhaps in ways we just can't explain--more typically referred to as "serendipity." In simple terms, serendipity is "a chance encounter or accident that leads to a happy--sometimes life-changing--conclusion." Want to increase your odds to experience more of those genealogical "happy dance" moments? Here's a lucky seven list of tips to help you increase your positive research results and win big. Don't be a passive researcher. Remember: "You've got to be in it to win it!" The more time you devote to genealogy research the more likely you are to break down that brick wall. With more databases and other information coming online all the time, and having the technology to connect to online resources 24/7 with our smartphones and tablets, there's really no excuse not to make some progress in the ancestral hunt. The greater the number of lottery tickets purchased will slightly increase your odds of winning. If you take an average state lottery with jackpot odds of about 100,000,000 to 1, buying 50 tickets would only improve your odds to 100,000,000 to 50. In the broadest sense, we can compare this to searching for ancestors. Fortunately, it is much easier to increase your genealogy odds! The more resources you check, the better your chances of finding some important clues. Casting a wide net by scouring every possible record group (and in multiple locations), planting your tree online using different services, and even blogging can increase your chances of discovering long lost relatives and finding living kin. Remember: Not everything is online. So step away from your computer and conduct research in repositories, archives, and university libraries. Interview your relatives (all of them) and engage yourself in some "immersion genealogy" by visiting the places your ancestors lived and learning all you can about your ethnic heritage and the history of your ancestral homeland. Don't be afraid to roll the genealogy dice. Don't just assume you won't find any of your ancestors in a database or record set because of family lore or presumptions about where they lived or didn't live, their financial status, etc. For example, Aunt Betty says that your grandfather only had five siblings, or you have a perception that your ancestors were "too poor" to trace in documents such as land or court records. Making assumptions can hinder your research. What have you got to lose by typing an ancestor's name into the search box of an online database? You might just discover that Grandpa had a sister who died at birth, or other siblings you did not know existed, or you could discover court case dockets with valuable family details. Follow your hunches. Many years ago I was searching for information on my great uncle Sam. He was the "Black Sheep" brother in my grandfather's family and nobody knew exactly when or where he died. The closest thing I had to a lead was my mother's story that "he died after passing out from drinking too much alcohol and was buried in a pauper's grave." I came across the Stark County Obituaries Index from the Stark County Public Library that included 1900-1939 obituaries from the Canton Repository. It took me just a few minutes of browsing the indexed PDF document to spot an entry for "Figler Samuel died 1934 Mar. 7." I ordered the obituary from the library, and the headline "Bachelor Miner Found Dead on Road Near Uhrichsville," confirmed that my mother was correct in her recollections. From the obituary, I was then able to obtain a copy of the death record and I discovered additional details about the circumstances of Sam's demise that she had not known. The moral of the story: Ancestors turn up in the most unlikely places, so don't be afraid to look beyond the obvious when it comes to location and record sets. 4. 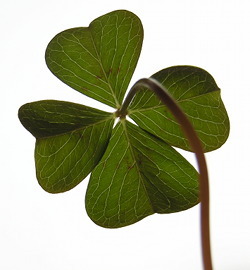 Join a Genealogy "Pool"
When lottery jackpots build up to huge amounts, many people will join a lottery pool at the office, school, or other groups with people who are willing to share a winning ticket. Your genealogy "pools" can include genealogy societies, online family tree sites, blogs, message boards, and social media platforms such as Facebook, Google Plus, or Twitter. Just as the payout that you receive in a lottery pool will be less because you will be sharing the winnings with others, when you seek to collaborate with others on your family tree, your payout could be less because there may be times when you will give more information than you receive. Keep in mind, however, that even just a single connection could provide that one breakthrough that you're looking for, so don't be afraid to reach out. This famous line from the song, "The Gambler," applies to genealogy. Following dead ends can be frustrating. Of course, we should always seek out every record, and explore every possibility. But, sometimes you may have to accept you won't find exactly what you are looking for. There are instances where the exact records you seek are missing, destroyed, or simply don't exist (for example, much of the 1890 Census, or Bremen Passenger List records). This doesn't mean there aren't substitutes that may have useful information, but there's no point in looking for something that is not there. Evaluate your research goals. Is it too ambitious to want to trace your line back eight generations? If the paper trail does not exist to do this, can you be happy going back only four generations? If you want to hit the bigger "genealogy jackpots" then you have to invest more to get there, but if you're satisfied by smaller victories--enough to keep you in the hunt--then focusing your efforts on more manageable research goals might give you more satisfaction. Each individual genealogist's definition of success will be different. Genealogy research is one of those activities that can be both frustrating and fulfilling depending on the positive or negative results we turn up. But you can improve your chances of success by finding ways to put yourself in the right place at the right time. This could mean taking a genealogy course, contacting a potential cousin, visiting a new repository, or exploring a different online database. Sometimes that's all you need to make your family history search pay off.